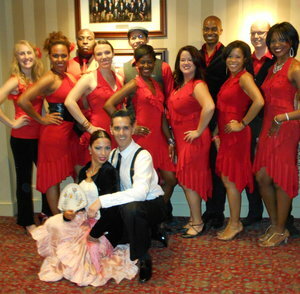 DanceInTime is a dance company that teaches and performs Salsa and Latin dances. DIT has produced shows for the Kennedy Center, the Verizon Center, the DC Convention Center, World Bank Red Carpet Galas, the Washington Nationals Baseball Park, government offices & other venues. The group has performed and/or taught in DC, Miami, Puerto Rico, New York, San Francisco, Philadelphia, London, Vancouver (Canada), Dublin (Ireland), etc. 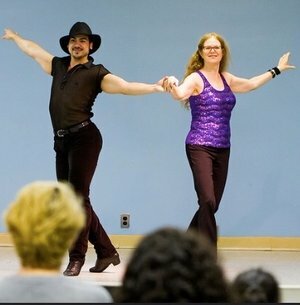 They've run workshops, bootcamps, and Latin Nights as well as programs for Hispanic Heritage, Women's History Month, and countless parties and events. 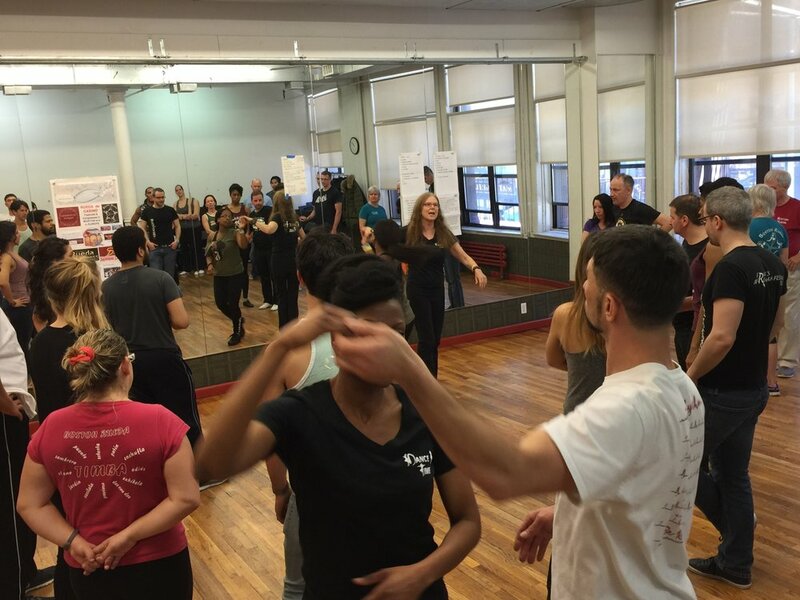 In addition, DIT offers innovative team building programs that use Salsa dancing. For example, DIT taught Salsa to the Baltimore Ravens' cheer squad for a team building activity! The group has run fun, "Dancing with the Stars" programs---including teaching Latin dance steps to local celebrities (such as ABC's popular TV Weatherman, Brian Van de Graaff). The dance company was featured on the Fox Morning News in both DC & Baltimore, on Telemundo shows, the ABC News in DC, and a Voice of America TV News channel. They have also been featured in the Washington Post's Weekend Section and other news articles. Director Barb Bernstein has taught Latin dance (credit and non-credit classes) at the University of Maryland, George Washington University, George Mason University, Prince Georges Community College, American University, Montgomery College, and the Peabody Institute for Music. She has been invited to judge dance competitions for teens, adults, and professional dancers. Most importantly, Barb loves to teach and is a very strong teacher--for beginning through professional level dancers. She produced a CD on Rhythm and Timing to help students dance to the beat, and has produced a short documentary film on the worldwide popularity of Cuban Salsa dancing. Bernstein holds a Ph.D. from the University of Maryland's School of Education with a specialty in teaching methods. Here are some people's comments about Barb and DIT. An ongoing goal of Barb’s work is to bring people together to dance in synchrony in Rueda circles. See the “Dance & Health” page of this website (under the Applied Dancing drop-down) for information on the health benefits of synchronous group dancing! And for more details on Barb's biography, visit the "Bio" page of this site. DIT After Show w/ Spanish Harlem Orchestra. We performed a song with them on stage. Dinner overlooking Havana, Cuba....(then off to Salsa at a club)! DanceInTime's Latin Night at Silver Spring's Veterans Plaza. White House Award For DIT!